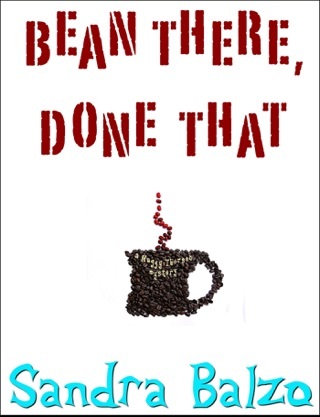 In her delightful debut, Balzo puts a 21st-century spin on the traditional cozy, replacing tea with coffee as the comfort beverage of choice. 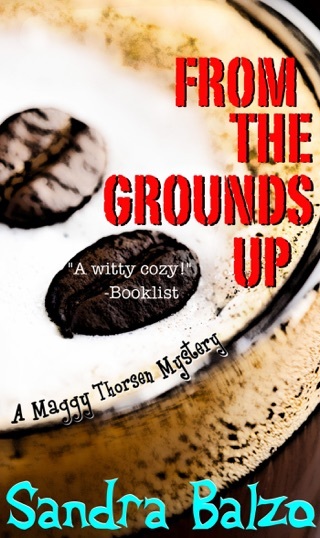 Maggy Thorsen, a divorcée whose husband left her for his 24-year-old dental hygienist, and two women friends are eager to open a coffee shop, Uncommon Grounds, in the small Wisconsin town of Brookhills, whose inhabitants include such recognizable types as the local gossip and tennis moms. In a world where Starbuck's and other chains are ubiquitous, Maggy and her friends have their work cut out for them. 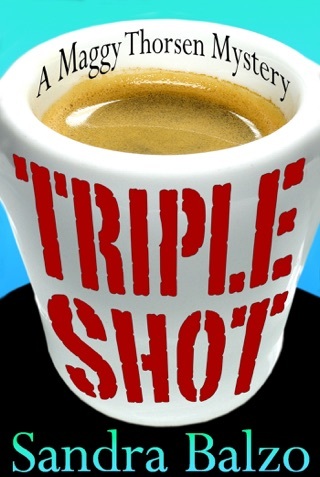 The challenge becomes even greater when Maggy discovers the body of one of her partners, Patricia Harper, on the floor of their coffee shop. 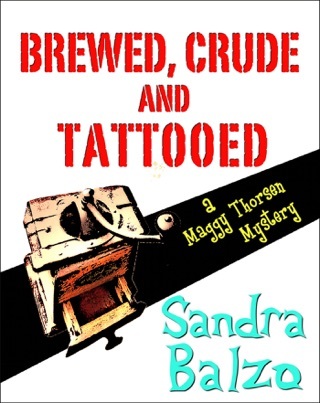 Determined to find out who killed Patricia and why, Maggy delves into the mystery with a sense of humor that would make Miss Marple smile. In her search for the truth, she works with, and sometimes against, the new and unpredictable county sheriff, Jake Pavlik—and uncovers at considerable personal risk the secrets of some of the town's most prominent citizens. Readers will want to curl up with this winner with a cappuccino or maybe even a Viennese cinnamon latte. In her delightful debut, Balzo puts a 21st-century spin on the traditional cozy, replacing tea with coffee as the comfort beverage of choice. 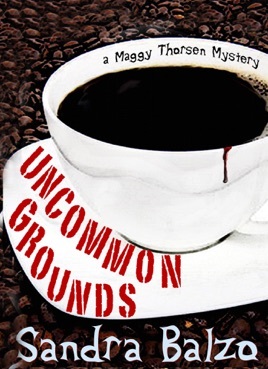 Maggy Thorsen, a divorc e whose husband left her for his 24-year-old dental hygienist, and two women friends are eager to open a coffee shop, Uncommon Grounds, in the small Wisconsin town of Brookhills, whose inhabitants include such recognizable types as the local gossip and tennis moms. In a world where Starbuck's and other chains are ubiquitous, Maggy and her friends have their work cut out for them. 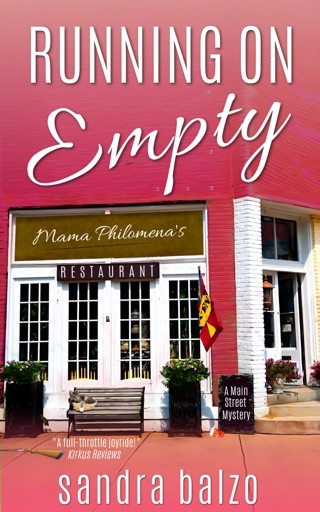 The challenge becomes even greater when Maggy discovers the body of one of her partners, Patricia Harper, on the floor of their coffee shop. 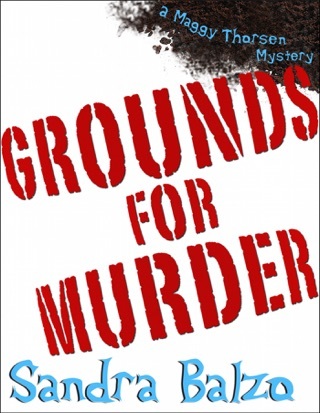 Determined to find out who killed Patricia and why, Maggy delves into the mystery with a sense of humor that would make Miss Marple smile. In her search for the truth, she works with, and sometimes against, the new and unpredictable county sheriff, Jake Pavlik and uncovers at considerable personal risk the secrets of some of the town's most prominent citizens. 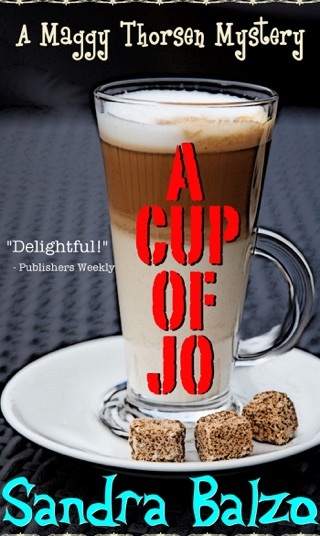 Readers will want to curl up with this winner with a cappuccino or maybe even a Viennese cinnamon latte. Nothing too heavy here, just a nice light read. I have several of this series & like them. Great mystery with lots of twists. Characters that can laugh at themselves and still keep the story interesting. A definite recommended read.